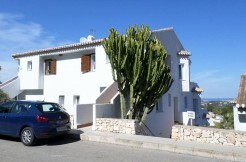 Properties Promociones Denia, Costa BlancaPromociones Denia, inmuebles en venta en la Costa Blanca con especial enfoque en La Sella Golf Resort, Denia. Promociones Denia, real estate agency and developer of the Hotel Dénia La Sella Golf Resort & Spa and La Sella Residential, located between both Mediterranean towns of Denia and Moraira, provides a full range of professional services to both, individual purchasers and investment groups looking for a property on the Costa Blanca. Select from a wide and attractive real estate offer from Denia to Moraira, with special focus on the prestigious residential area of the La Sella Golf Resort, founded by Promociones Denia more than 30 years ago. During your property inspection visit, seize our Inspection Lifestyle Package of excellent value, with your accommodation at the Hotel Dénia La Sella Golf Resort & Spa. Devoted professionals with a profound knowledge of the local market will listen to your requirements and counsel you on the most appropriate properties. All properties you will be shown have been carefully investigated as for their legal and financial situation to prevent from unwanted surprises when it comes to its conveyance. Assistance in the application for a mortgage which match your needs. Guidance through the buying process with all its intricacies, granting that the property is conveyed free from incumbrances, up-to-date with its payments and obligations and registered in your name at the Land Registry Office. Non Spanish residents are required to have a legal representative. We are working with local tax consultants and lawyers, whom we know for their efficiency and professionality. We will accompany you to the Notary and translate the proceedings. As a client of Promociones Denia, you benefit from special rates when purchasing a share from La Sella Golf.